A simple worksheet handout. A sharpie. My writers notebook at bay. 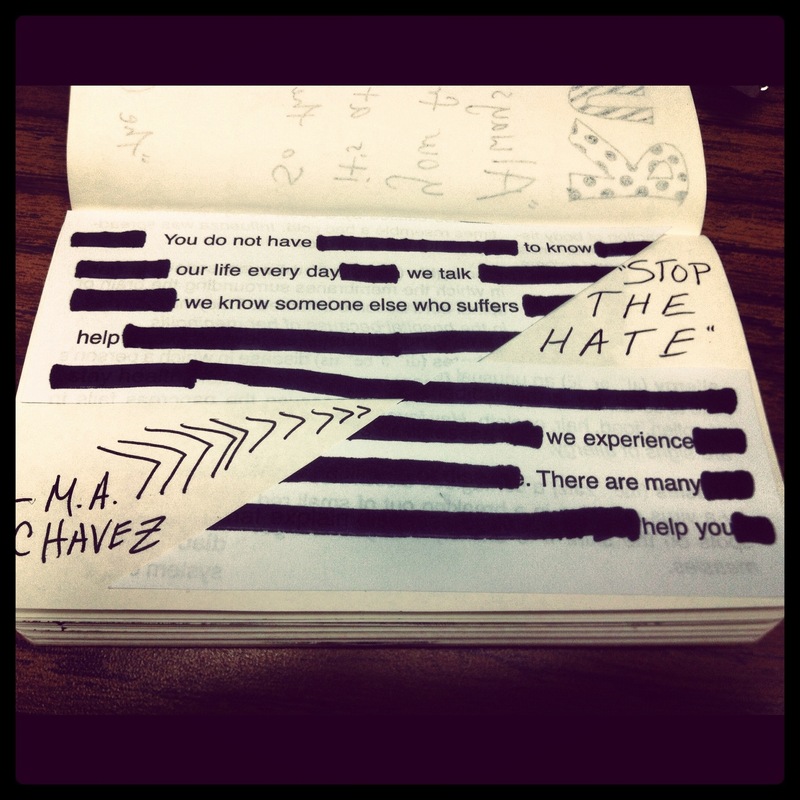 And a life where one day I hope it’s acknowledged that everybody bleeds the same, lead me to my simple blacked out poetry piece: “Stop the Hate.” Enjoy.